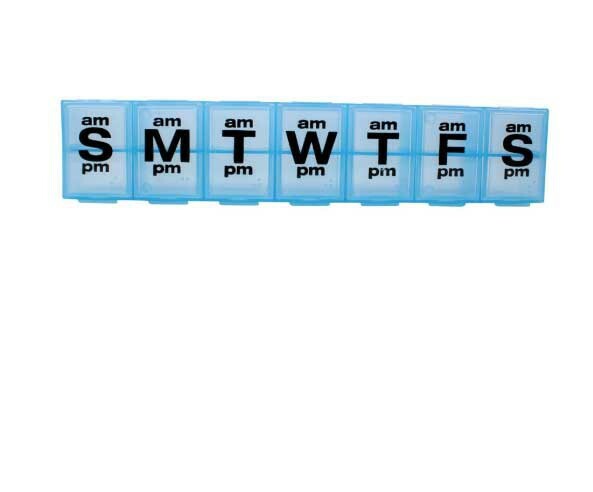 Apex 7-Day AM/PM XXL Pill Organizer has extra-extra-large compartments for easier medication extraction. 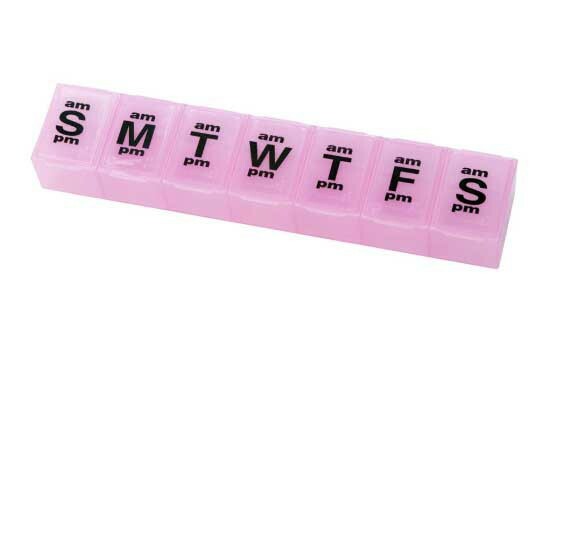 There are 7 compartments, one for each day of the week. 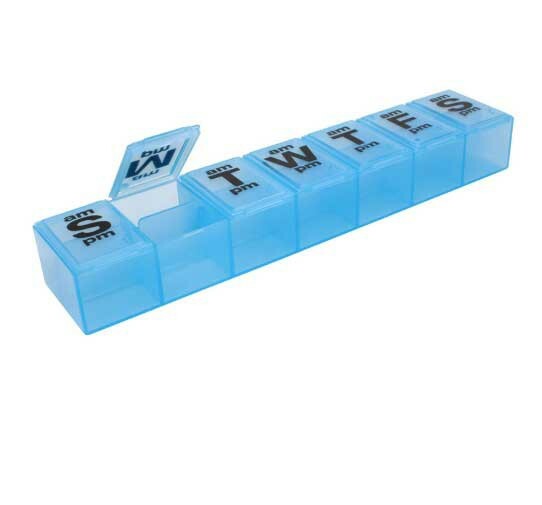 Within the daily pill holder compartments are two sub-compartments, one for AM or morning dispensing and one for PM or evening dispensing. 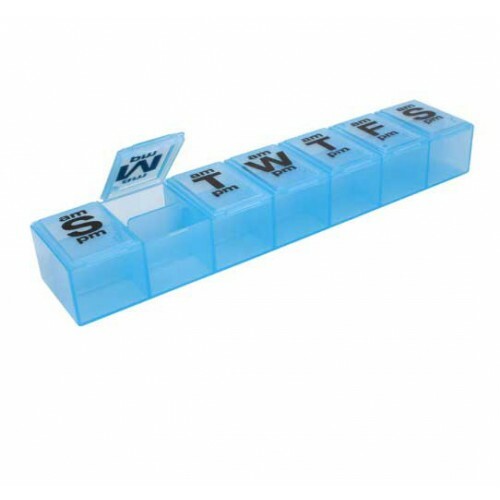 This medication organizer dispenser is available in blue. 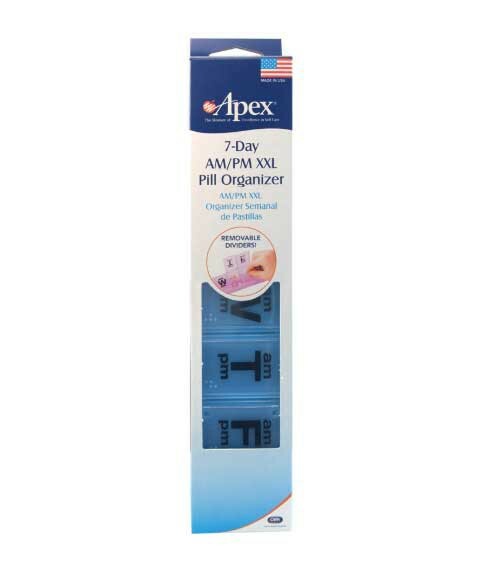 Apex medication organizers are manufactured by Carex. 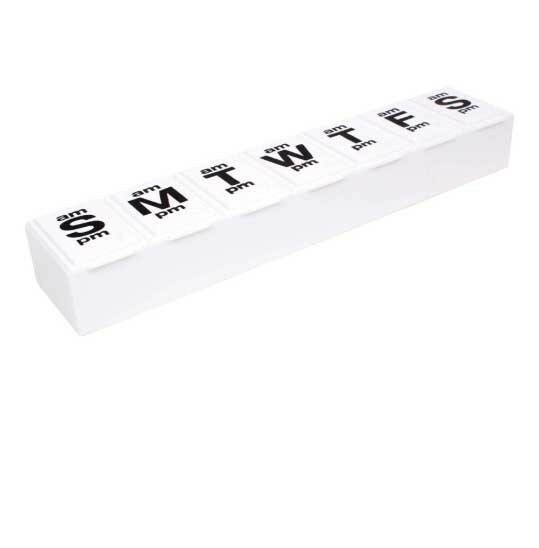 Carex makes several different medication dispensers, including the Medication Station, Weekly Twice-a-Day, and the Detach N’ Go.